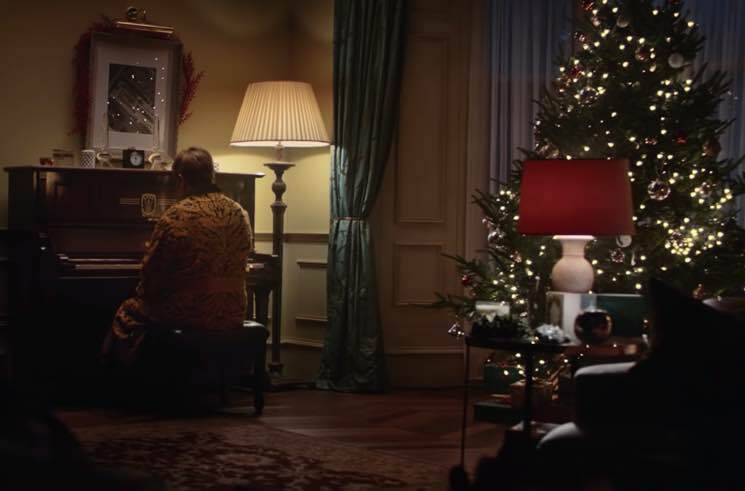 It's only mid-November, but Christmas is already here in the world of advertising, and John Lewis & Partners landed some major star power for its annual holiday ad this year. Rather than trampoline-jumping animals or monsters, Elton John stars in the sentimental clip, which tells the story of "the power of a gift." It begins in the present day and travels back through the singer's life, all the way back to the Christmas morning when he received his first piano. Check out the heartwarming clip, soundtracked by John's own "Your Song," below.